Overland Storage has acquired the Snap Server NAS business from Adapted for $3.6m (£1.8m) with $2.1m paid upfront in the cash and the rest settled within 12 months. Overland Storage has acquired the Snap Server NAS business from Adapteq for $3.6m (£1.8m) with $2.1m paid upfront in the cash and the rest settled within 12 months. The allows Overland to address the $1.2bn SME NAS market that market watcher IDC has forecast to grow at 15 per cent a year and gives the vendor a functionality that sits well alongside its VTL, tape and SAN technologies. 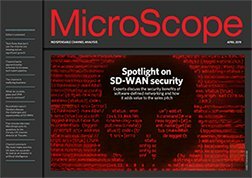 The “cross-pollination” of existing Overland IP with the Snap Server IP will yield some interesting products and features individually and improve interoperability, said Overland CEO Vern LoForti. “Although the acquisition initially will negatively impact our P&L, our goal is to make the Snap business cash flow positive by the third quarter of our fiscal year ending June 30 2009,” said LoForti. The deal which adds $18m to Overland’s top line will allow Adaptec to concentrate on the Unified Serial RAID controller business and continue to “streamline” operations said Adapteq CEO Sundi Sandaresh.